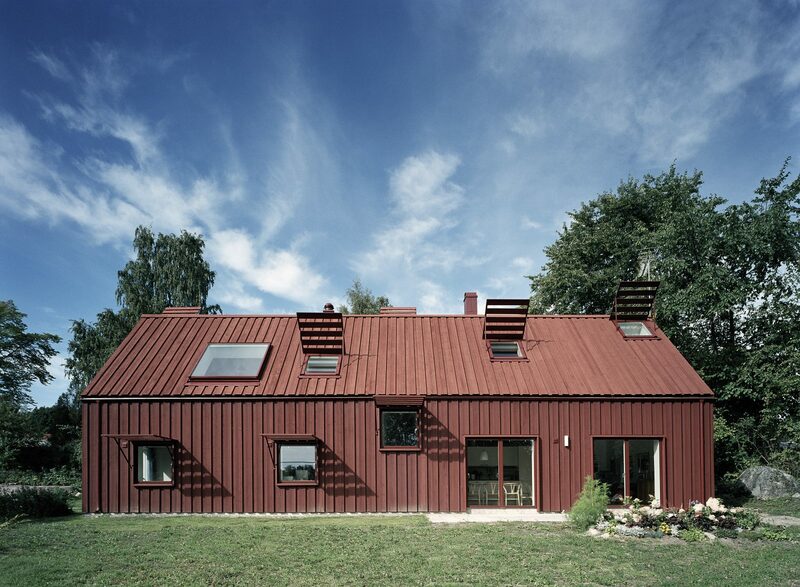 This one family house is situated on the northern coast of the lake Mälaren in central Sweden. It is set in a former recreational area where, in recent years, most of the small weekend houses has been either extended or replaced by catalogue housing. 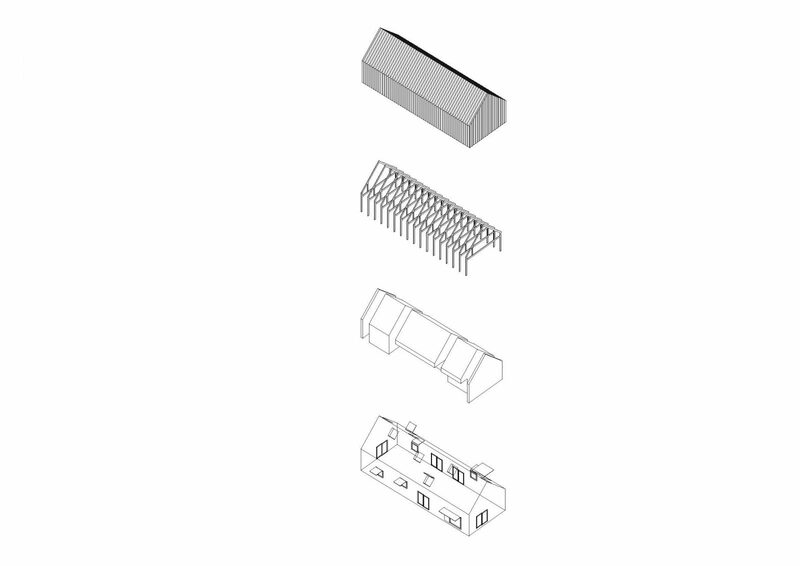 A starting point was the simple constructions of rural buildings and the architecture of Swedish barns and warehouses, some traces of which can still be seen within the type house sprawl of Tidö-Lindö. The clients, a couple in their sixties, wanted a house for themselves including space to accommodate visiting children and friends. 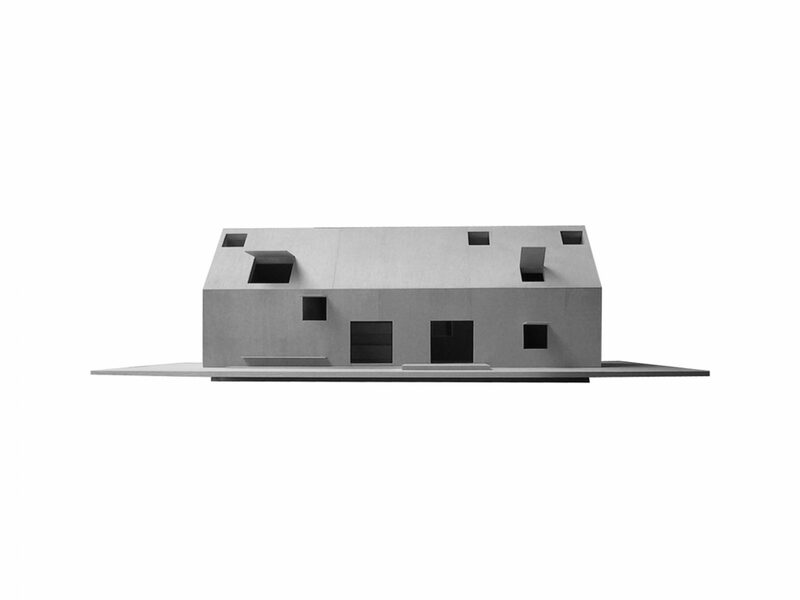 The brief is defined in two parts: a complete living floor at entrance level, and an upper floor that is only partly finished representing a future possible extension within the house. Aiming to meet a need for low-cost construction the plan is strictly based on a cc1200 module. Adding to this, the strict use of standard building components allowed the costs to be kept at a minimum, thirty to fifty percent less than average. In contrast to the deep red exterior, the interior space is very light. It is characterised by the three light shafts that rise through the attic to let the sunlight enter also from above. Two are situated at the short walls of the open living room, the third marks the position of the stair at the south gable. Combining rooms in a suite with transverse passages the plan offers several alternative movements through the house. Windows are placed to further enhance the difference of the interior spaces by alternatingly directing the views low towards the garden, far away towards the lake and the horizon, or high up at the trees and the sky above. 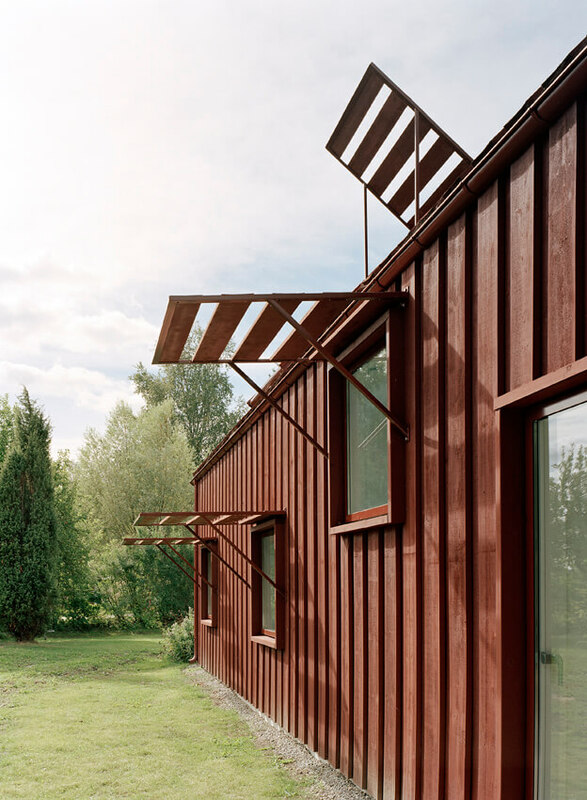 The prismatic exterior is clad with an oversized wooden panel made of heartwood of slowly grown pine and treated with red tar, a way of reinterpreting the technique of wooden roofs that has been in use for centuries in Scandinavia, mostly in the north and on the island of Gotland in the Baltic Sea. Freely placed windows in two sizes are punched through the roof and the facades. Fixed brise-de-soleil shutters complement the varied interior light as well as the pattern of shadow and light of the outside. All exterior fittings and details are painted in the same colour as the facade.